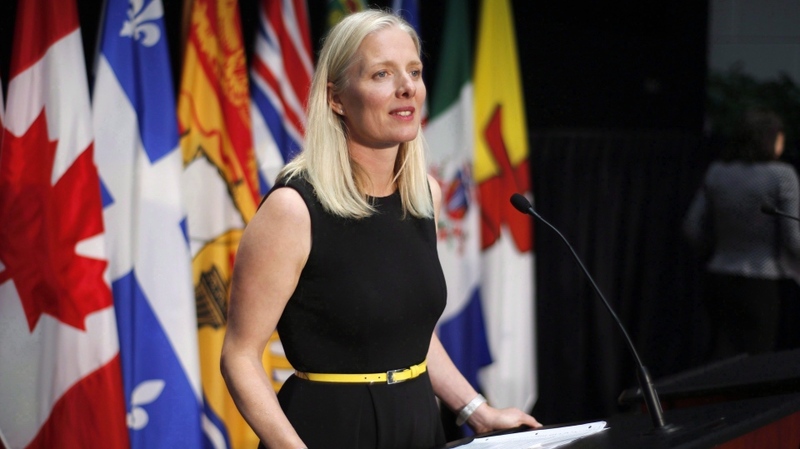 OTTAWA -- Environment Minister Catherine McKenna is defending the federal government's move to relax its proposed carbon tax limits on large emitters, giving industry more room before companies start paying. Speaking to CTV News the minister said the decision comes after consulting with industry, and that despite skepticism amongst environmental groups, she remains confident the federal Liberals will still hit their greenhouse gas reduction targets. Her comments come after a report in the Globe and Mail revealed her department had quietly posted a revised set of guidelines to its website last week under the title "Technical backgrounder: update on the output-based pricing system." The document appeared on the government's "Pricing carbon pollution for clean growth" page with no indication it was a new document and no news release to announce the major change. "Big polluters need to pay their part, but we also need to be taking other action," McKenna said. "We looked at other systems across Canada, we consulted with industry, we talked to experts, and we looked at what was going to create the incentive for polluters to reduce their emissions, to innovate, to create good jobs, to save money, and that’s where we arrived at," she said. The government had initially proposed taxing companies for emissions over 70 per cent of an industrial sector's average pollution intensity, but is easing the proposed limit in most sectors to allow for emissions up to 80 per cent of the industrial average. In "a small number of sectors," the limit will be even higher and allow emissions up to 90 per cent of the industry average. Those going over the threshold will be taxed at $20 per tonne starting in 2019 and rising by $10 each year to $50 per tonne in 2022. "We consulted broadly with industry," McKenna's spokeswoman, Caroline Theriault, said in a statement Wednesday morning. "We will continue to engage with Canadian industry throughout the process of developing these regulations. We are committed to providing draft regulations in Fall 2018." The government proposed the original limits last January. In an update posted to its website last Friday, Environment and Climate Change Canada calls the initial limits a starting point, "with the possibility of adjustments" based on an assessment of the potential risks to competitiveness and to carbon leakage. Carbon leakage refers to the risk that industry moves the work to another jurisdiction to avoid the cost of carbon pricing. 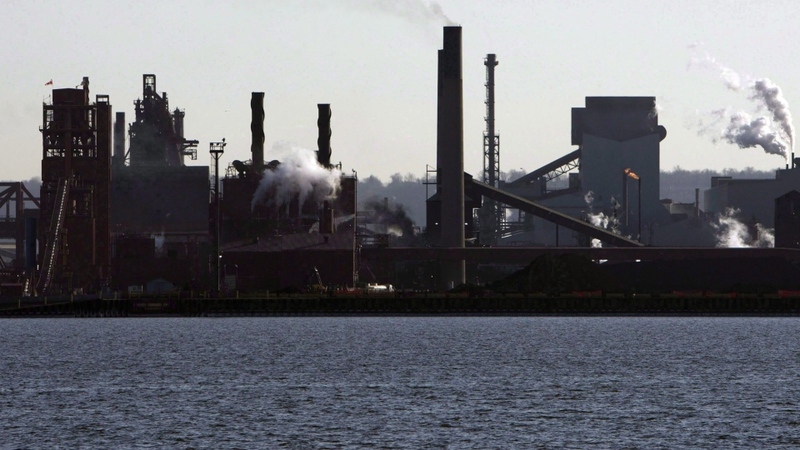 All remaining industrial sectors, including oil and gas, pulp and paper, food processing, potash and mining, will face a carbon tax on emissions over 80 per cent of the industry average. The proposed pricing would apply starting January, 2019 in any jurisdiction that doesn't have a system that meets the federal benchmark. That means the changes will impact Ontario and Saskatchewan, whose premiers have refused to take part in any kind of carbon pricing. British Columbia, Quebec and Alberta already have systems in place, with Manitoba introducing its own in the fall. Nova Scotia is bringing in cap and trade next year. It's not clear whether New Brunswick, Newfoundland and Labrador, and Prince Edward Island will be forced to adopt the federal emissions limits. "There are a number of climate policies that have been either weakened or delayed," Marshall said in an interview with CTV News. "Government has to decide whether it's going to actually hold fast and put into place the policies needed to improve the life of Canadians and to actually address climate change, or whether it's going to continue to kowtow to Canadian industry that always whines about these kinds of regulations." Marshall says backing off the proposed limits is a bad strategy. "It doesn't mute the criticisms or the opposition from those who don't want to do anything." Conservative finance critic Pierre Poilievre tied the retreat to the planned October, 2019 election. "We're getting close to an election year, and Justin Trudeau realizes that his carbon tax is very unpopular, that many Canadians are worried about losing their jobs if he goes ahead with it as it is. So his government is at least putting some of these tax increases on hold to save his political bacon at election time," Poilievre said. The department says consultations continue, inviting information on facility-level impacts, market considerations and indirect costs. A detailed paper with the draft regulations is to come in the fall. The Liberals took power on a promise to improve the previous government's environmental record, announcing a year after it took power that all provinces and territories would have to introduce carbon pricing -- a carbon tax or cap and trade system -- or face having one imposed. The government of Saskatchewan has asked the province's Appeal Court to determine whether the federal government has the power to impose a carbon price, and Saskatchewan Premier Scott Moe has recently found an ally in recently elected Ontario Premier Doug Ford, who said at the premiers gathering last month that his province would join the legal fight. Ford's first move as premier was to end Ontario's cap-and-trade program, calling it a slush fund. Critics including Moe and Ford say a carbon price will make Canadian business less competitive, particularly at a time when U.S. President Donald Trump is cutting corporate taxes. In response to news of the changed proposal, Moe said the federal government was admitting a carbon tax will "affect Canada's competitiveness and hurt our economy." Calling it the "new, watered-down made-in-Ottawa" carbon tax, Moe said it does nothing for the environment, reduces jobs and takes money from families.